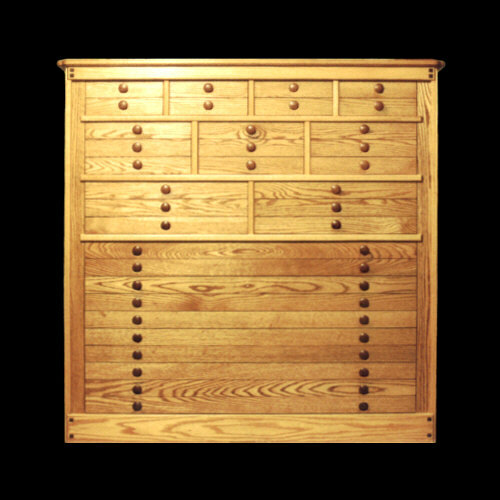 This chest was made for a large jewelry collection. It could also be used for storage of important papers or as art "flats", for drawings or artists supplies. Dimensions are 56" high, 57 5/8" wide and 20" deep. This chest, built to contain a large collection of Indian jewelry, is special in many ways. 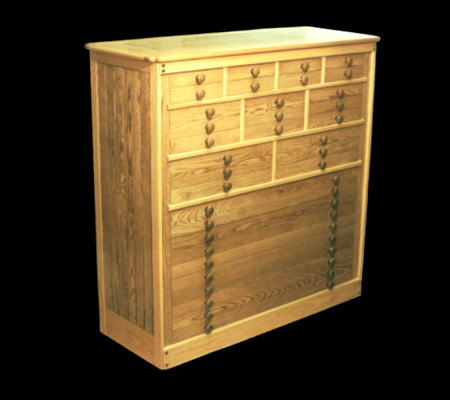 It’s constructed of red oak, basswood, locust, hickory and walnut. 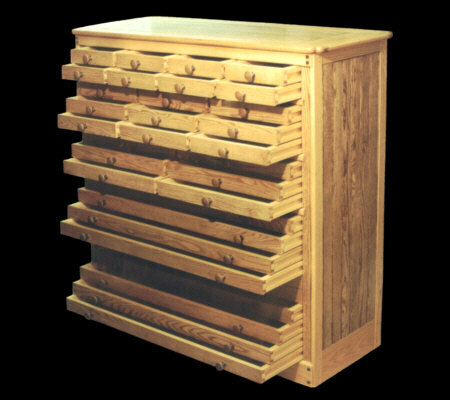 The 33-drawers slide effortlessly on locust rails rabbeted into the drawer sides. This is done to keep all drawers sliding freely indefinitely. No metal hardware that could rust or wear out, is used in any way. 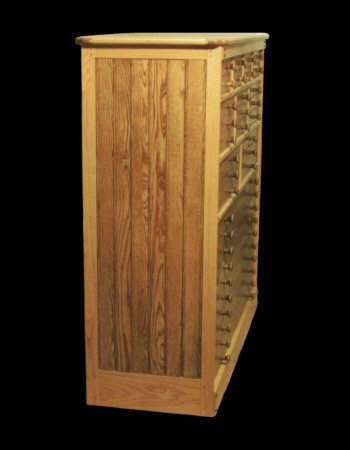 Construction of the cabinet is specially designed to accommodate the high humidity of its southern location. The oak knobs are individually turned and finished using a three-stain process giving a very striking look. This same general design would also function well for art conservation, storage etc. and may be built in any size. Copyright ©2002 - 2012 Stan Pike Designs.